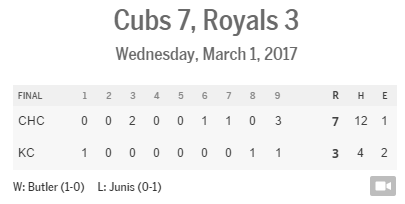 Early on in this one it looked like the Cubs were going to fall back into their familiar, troubling ways as they put two guys in scoring position with one out in the first only to see Javier Baez foul out. Then Addison Russell, as he has done for the better part of the last two months, came up with a huge two run single to give Kyle Hendricks more than enough in this one. Hendricks was dominate as he went the distance against the Marlins for his tenth win of the season and lowered his ERA to 2.22, that’s an elite level right there. Joe Maddon needed a big effort from his starter, and allowed him to get there as Hendricks tossed 123 pitches which is a career high by quite a bit. 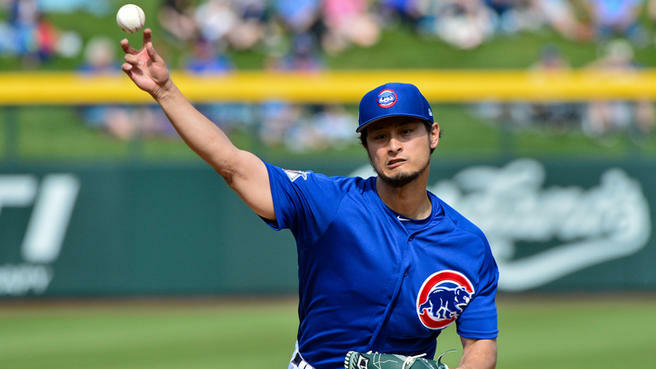 The Cubs had hits up and down the lineup but once again struggled to cash in as they left nine guys on base in the first four innings which is almost impossible. Hendricks came up big this time with the bat as he laced a one out RBI single in the fifth to push the Cubs lead to three, and they never looked back. 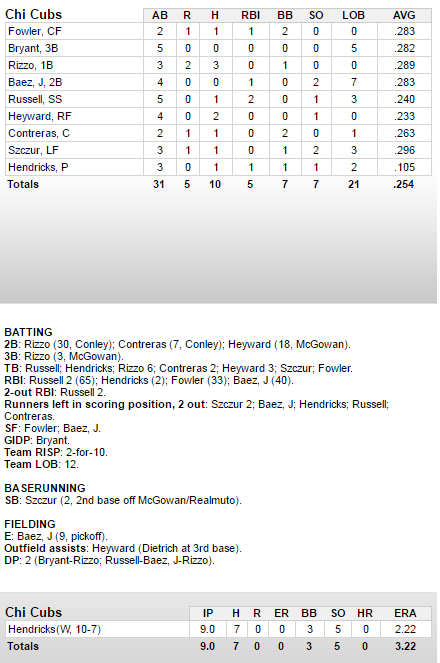 Anthony Rizzo also had a huge night at the plate going 3-for-3 with a double, a triple, a walk, and a run scored. The win is the Cubs’ second straight and fifth in their last six on this home-stand which continues tonight against the Marlins. Baseball during the day is so very nice, even if it doesn’t count yet. Pierce Johnson takes the mound for the Cubs today as they open their home portion of the spring schedule. Here is how they will line up, I believe the game is on MLB.tv with a subscription, and Cubs.com has the audio. On a personal note, Pierce Johnson is one of my favorite players, rooting hard for him. Go Cubs!